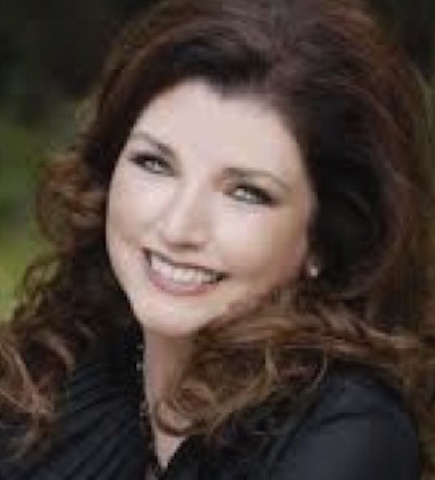 Morgan Brittany is the co-owner/Vice-President and National Spokesperson for PolitiChicks, and co-author of the book, What Women Really Want. She has been an actress for almost her entire life. She has worked with such legendary stars as Rosalind Russell, Natalie Wood, Lucille Ball, Bob Hope and Henry Fonda, to name a few. She has been directed by some of Hollywood’s most prestigious directors like Alfred Hitchcock, Mervyn LeRoy, John Schlessinger, and Mark Rydell. 2014 will mark her 57th year as a performer in Hollywood.Although best known for her role as Katherine Wentworth, the sophisticated but maniacal sister of Pam Ewing on CBS’s “Dallas,” Morgan has a career that has spanned the decades. From her role as “Baby June” in the Warner Bros. Musical “Gypsy,” in 1962,to “The Birds,” “Marnie” and “Yours, Mine, and Ours,” she has enjoyed roles with much variety. Ms. Brittany’s career began at the age of five when she appeared with Lloyd Bridges in the television series, “Sea Hunt.” During the 60’s she starred in over 100 television shows such as “Twilight Zone,” “The Outer Limits,” “Gunsmoke,” “The Andy Griffith Show,” “Lassie,” “Playhouse 90” and “My ThreeSons.” In 1966 she became a member of Richard Boone’s repertory company. After attending college at California State University Northridge, Ms. Brittany performed a brief stint in Las Vegas as Gene Kelly’s dancing partner in “Gene Kelly’s Wonderful World of Girls”. After that, she went to New York to pursue a modeling career. Within a month she had landed six national commercials and became the spokesperson for Ultra-Bright Toothpaste, Avon Cosmetics, Ford, Max Factor, and L’Oreal Cosmetics. She also was the “Milk Girl” for the California Milk Advisory Board. Her modeling career took her to the orient and she became the “face” of Kanebo Cosmetics in Japan, Korea, and much of the Far East. She spent three years traveling the world and working as their model. Upon returning to the U.S., Ms. Brittany moved into feature films such as “Gable and Lombard” and “The Day of the Locust”. In both films she portrayed a young Vivien Leigh, a role she repeated in the NBC mini-series “Moviola-The Scarlett O’Hara War”, also starring Tony Curtis. Her many MOW credits include playing the young Mrs. Howard Hughes in “The Amazing Howard Hughes” with Tommy Lee Jones. She portrayed Alice Glass, President Johnson’s infamous mistress in “LBJ: The Early Years” with Randy Quaid, and silent film actress Clara Bow in “The Dream Merchants”. She has also starred in her own ABC television series for Aaron Spelling entitled “Glitter,” had three syndicated TV Series, “Star Games” with Bruce Jenner, and “Photoplay” produced by Jack Haley Jr. and “The Contemporary Collectibles Show”. Her television credits include, “Doc”, “Sabrina, the Teenage Witch”, “Melrose Place,” “The Nanny,” “Married with Children,” “Silk Stalkings,” “L.A. Law,” “Perry Mason Mysteries,” “Murder, She Wrote,” and “B.L. Stryker” with Burt Reynolds. Morgan was also a favorite guest star and had the great honor of traveling with Bob Hope for many of his television specials. Her numerous films include, “Mother’s and Daughters”, “The Biggest Fan” “Body Armor,” “National Lampoon’s Favorite Deadly Sins,” “Sundown,” “The Prodigal” and “Last ActionHero” and “Americanizing Shelley”, starring Beau Bridges. As if her career were not enough, Morgan has been married for 33 years to Director/Stunt Coordinator Jack Gill. They have two children, Katie an actress, and Cody, a composer and musician. Both Morgan and Jack have been active members and supporters of the March of Dimes for over 20 years. Through their efforts all across the country, they have raised over 10 million dollars for that organization. She and her daughter Katie spent 6 years with the National Charity League of San Fernando Valley and Katie was presented as a Debutante in 2004. They are both still active with the organization. Morgan was also honored by the “Big Brothers/Big Sisters” of Southern California for 2013 as their “Wonderful Woman of the Year”. She also recently received a lifetime achievement award from the Southern California Motion Picture Council for her body of work in the entertainment industry. Morgan’s career also involves theatre and her musical roots. She starred in the 35th anniversary tour of “Mame” playing the title role. She also toured in “Crazy For You” and also played Maria in “The Sound of Music” at the Artpark in upstate New York. Along with her onstage performances, she serves as a Celebrity Ambassador for the Thousand Oaks Civic Arts Plaza Alliance for the Arts. This organization raises funds and awareness for young people entering the arts. Morgan is also very active in the protection of young children in the motion picture industry. She was on the Screen Actors Guild Board for three years and is a member of the Young Performers Committee. Ms. Brittany also sits on the executive advisory board for the CDC’s “Business/Labor Responds to AIDS” program and is an advisory member for the Entertainment Industry Council. Politically active for the past few years, she is one of the few outspoken Conservative Republicans in Hollywood. She has appeared on many radio and television shows supporting Conservative candidates and traveled for John McCain and Sarah Palin in the 2008 election. She also sits on the advisory board for the Hollywood Congress of Republicans. In 2009 she began appearing on Fox News’ “Hannity” show where she was a member of the “Great American Panel”. Her current passion is supporting veterans groups and bringing public awareness to the needs of our troops past and present. Today Morgan intends to keep active whether behind or in front of the camera and will continue to fight for Conservative values, America’s military veterans, and the greatness of America.